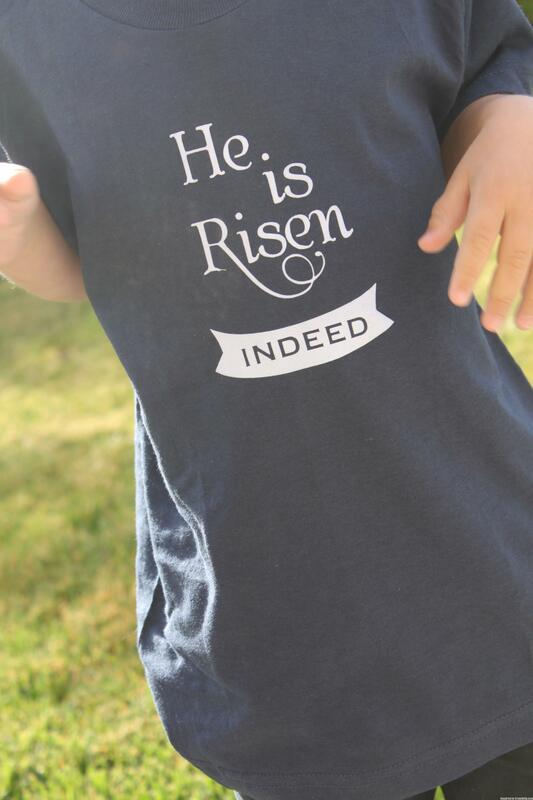 My oldest wanted a Easter shirt that was an accurate representation of what we believed. 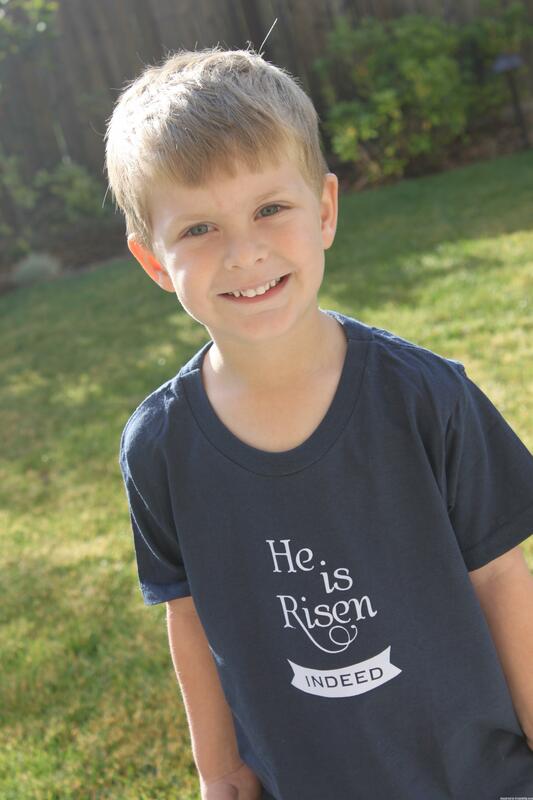 He loves to talk about how Jesus died and rose again, so he was thrilled to have a shirt to celebrate with. I only had 20 minutes, so I searched Pinterest for some ideas and found this great printable – He is Risen Easter Printable. I took the concept and designed it in Silhouette Studio. After cutting it out of flocked heat transfer material and ironing it on we had a shirt and then it was off to church!